Many of you may have noticed that your systems are stuck in restart or shutdown mode for a long time before any action is processed and the computer is either restarted or shutdown. Before making any changes we recommend please consult with your computer administrator. As usual follow these instructions at your own risk but this has been tested by our team several times and have been helpful for our clients. To reduce restart or shutdown time in windows you need to make a few changes in the windows registry. We will first explain these changes then we have prepared a registry file that you can use for altering the registry in your computer. Please be advised that these methods only work on Windows 8.1, 8, 7, XP, 2003, and 2008. Step 1 ) Start registry editor in your computer. If you don’t know how you may click on start menu and type “regedit” and press enter. If you still don’t know how to do that you may either double click on the file we attached here However we highly recommend you discuss this with your IT support. Generally your computer is set to wait 12 seconds to kill each service if it is not responding to the restart or shutdown command however this may be a long time if you have several windows services that are stuck. So the following change in registry makes the time required for the operating system to wait before it kills the task to only 1000 milliseconds (1 second). Please be advised this may result in losing some data or your program not to gracefully shutdown so please consult with your IT support. Step 3) Reduce the time for killing stuck apps. By adding the following to your registry you will tell the operating system that it has the option to automatically close any app after 1 seconds and to kill the app if it is not responding to graceful shutdown or restart. This should make a huge difference in the time your computer is stuck before restart or shutdown. However if your problem persists we highly recommend you contact your IT support or system administrator to help you with the issue. The file is tested by VirusTotal service and more than 53 antivirus has cleared the file However use the file at your own risk. If you do not wish to add these entry to your computer registry manually you can simply download this file and double click on the file. This will add the registry entries to your computer. disclaimer: This file is tested by VirusTotal. 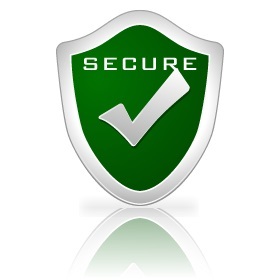 Click on the following secure icon to check the report. This entry was posted in Debugging & Fixing and tagged reduce restart time, Reduce shutdown time, slow windows restart, windows restart time delay, windows shutdown slow, windows shutdown time delay. Bookmark the permalink.